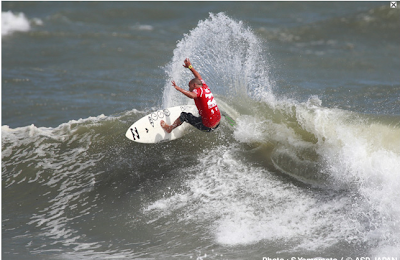 So we are back in Chiba for the 4* WQS Billabong Tsurigasaki Pro at Shidashita. Shida is one of Chiba's most high performance venues, which is the perfect setting for some of the World's top professionals to show their stuff! Japan is such a great place to compete because the crowd really gets behind the surfers and their skill and aren't afraid to show it and express their respect for all of the surfers! Hey that's why I love surfing here, because the people really, really love surfing. It's like no where else in the World!!! Be sure to stay tuned to the events Live Webcast all week! Send you messages into my boy Nick Mita, he's commentating the entire event. He gets super amped when everyone sends in their thoughts and comments of support for the surfers. Nick is also competing in the event so be sure to cheer him on as well! I think the best surfers are the ones that can represent themselves in and out of the water, and Nick is a perfect example of that! The conditions today were very difficult, not the type of waves you would expect from Japan. The surf was in the 3-4 foot range, but very powerful dumping type waves. These conditions are expected to stick around all week, so the surfers have to be ready to battle with the ocean and not just the other competitors. Here are a couple of shots from the event website! Stoked to have gotten some love! Thanks Yamamoto san for shooting! I was stoked to get a few fun waves in my heat today! 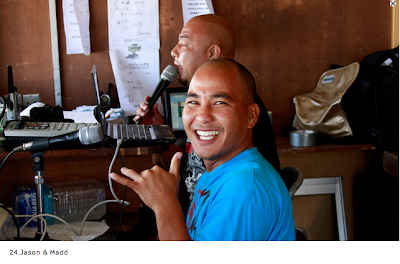 I got the chance to fill in for Nick "The MC" Mita while prepared for and surfed his heat today. Nickhead ripped his way to the round of 96! I know why now, cause he had the best seat in the house! The view was nice from the box!